Organized by renowned quilt scholar Jacqueline M. Atkins, the Fenimore Art Museum for the first time in over 10 years will display selections from its large collection of quilts. The exhibition will address themes of diversity, ethnicity and culture. 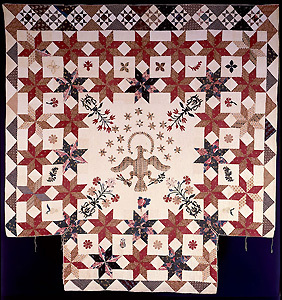 Also included are the three award-winning quilts from the 2010 New York State of Mind Quilt Show.